Hey everybody! Here’s the first article I wrote when I started to take writing seriously. I sent it to Guideposts Magazine in 2007.. They loved it but it didn’t quite fit their criteria, so it never made it to the magazine. It’s my testimony. Enjoy! The date: February 8, 1983. The time: around noon. The weather: cool and breezy. The newscasters would call this the Santa Ana winds. The baby is not due to come until April 8, but there is a problem. The baby is ready to come early. The mother to be is at her next-door neighbor’s house and calls the grandmother to be, who then rushes over to take her to the hospital and pages the father to meet them there. Once they are at the hospital, the doctor rushes Rosemary into surgery and delivers the baby by emergency C-section. When the baby comes out of the womb, it stops breathing. Within 15 minutes, the doctors are able to get no more than five breaths out of it. Imagine trying to hold your breath for 15 minutes. Could you do it? No. You’d kill yourself if you tried. Unfortunately, the baby’s skin is blue. It’s not making a sound—not even a normal baby cry. It’s quiet— too quiet. Rosemary’s water broke early, causing the baby to become very ill. The doctors realized two days later that the baby had pneumonia, and that lack of oxygen had caused serious brain damage. Is there any hope for this child? Or, should the parents of this child say good-bye right now? Is it even possible to say good-bye to babies who haven’t even taken their first steps, their first breath of air, or their first look at life? After that, the doctors tried everything medically possible, but the baby’s body didn’t respond. When the doctors were about to lose hope, they tried one more thing. They gave the baby antibiotics. The baby began to recover within 24 hours, and then the doctors knew that the baby would live. Now that the baby would live, what about a name? I’m sure that Rosemary and Rex hadn’t thought about that yet. After all, the baby wasn’t even due until April 8, and here it was February 8, two months early. Rex decided on a name and its spelling. 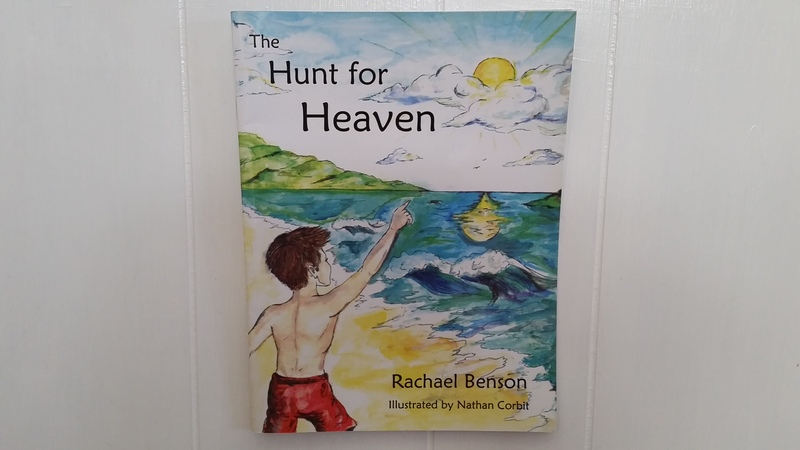 “Her name will be Rachael Benson,” he said. When the nurses found out this baby would live, they were ecstatic, and they started writing the name on everything. I’m Rachael Benson. I’m the “miracle child.” I’m 24 years old now and have cerebral palsy. This is the story of what happened when I was born. Even though everyone was sure I was going to live, that didn’t mean I could go home right away. Because of complications, I weighed only three and one half pounds. The doctors would not let me go home until I weighed five pounds. Heartbroken that she couldn’t bring me home, my mother traveled back and forth to the hospital for five weeks to feed me. If I was asleep when she came, she just had to wait for me to wake up. Finally, I reached five pounds and the doctors said I could go home. When they brought me home, they had to put me on a heart monitor for my first year to monitor my heart rate. The heart monitor’s alarm went off quite often, causing my parents to jump up to check on me, but nothing ever happened. It only went off because I moved around so much. My parents would look at me and I would just smile. My heart never completely stopped. But, it slowed way down at times, especially if I had a stressful day. The doctors were monitoring what is called apnea, which is where you forget to breathe. My mom and other family members were well prepared for the worst before the doctors sent me home. They had taken a special CPR class so that they would know what to do in an instant if they had to. They did it together so that Mom could have a break every once in a while. Mom said that while I was on the heart monitor, I slept in my parents’ room in a bassinet so that she could see me and drop what she was doing in an instant if she had to. She said she could see out of the corner of her eye that I was all right. Because of my health problems, my mother, even though a follower of Christ, harbored anger against God until she realized that she had quite a bit of spiritual growing to do. She says I was her wake-up call. After my mother got past her anger, she made sure that church was a high priority in my life. This taught me to focus on the positives about my disability, like learning to walk with a walker. I’m thankful that I can talk to people and make intelligent conversation. I don’t have a speech impediment, although I stutter occasionally. Most of all, I’m thankful for a mother who emphasized that God had a reason for allowing me to have CP. She wouldn’t allow me to have a “woe is me I’m disabled” attitude. She has taught me (and is still teaching me) to focus on what I can do, not what I can’t do. Thanks to her and the many other friends and family members that have loved me, I came to know the Lord at a very early age. I’ve learned to be thankful for only have two seizures in my lifetime: once when I was a year old, and again when I was fifteen. The second seizure happened because the doctor tried to take me off the medication. I’m stable enough that, even though my mom has to help me quite often, she doesn’t have to be there all the time. While my mom runs errands, someone else can help me, and I can socialize with people my age. I’m also thankful that my disability is physical, not mental. Although I sometimes have trouble with my sense of direction and math, or things that require a lot of motor planning, I don’t have any major behavior problems that scare others away. I don’t scream or throw tantrums in public. I’m thankful for the people God has put in my life to help me learn the essential skills I need for my life, like walking with a walker. I am very thankful that God allowed me to live. Instead of being in heaven right now, waiting for my mother to arrive, I am sitting here at my computer, writing this story. Since I was created in my mother’s womb, how could my disability be a mistake? It wasn’t. God didn’t say” oops” when I was born. He doesn’t punish people by giving them disabilities, but allows them to go through trials to develop character. The Bible says in Romans 5:3-4: “Not only so, but we also rejoice in our sufferings, because we know that suffering produces perseverance, character; and character, hope.” (NIV).